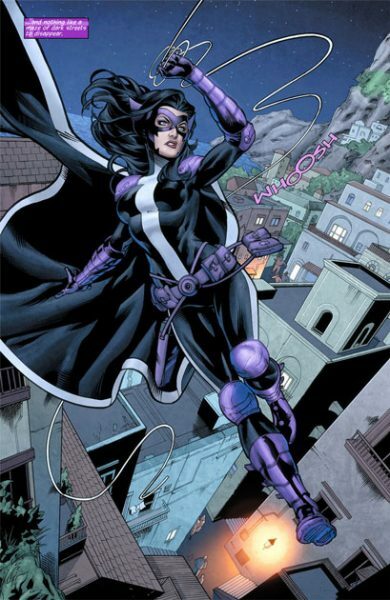 Huntress is the obvious choice. She toes the line between good and evil, perfect for the semi-gritty "we're bad guys, it's what we do" cinematic universe we've got going. Plus, she's basically lady-Batman (or rather she's been stuffed into that role over and over again), and we know how much DC loves putting Batman in things. Sirens is super Batman-centric as-is, so adding a member of the Batfamily is right up their alley. She's in the Batfamily, right? That sounds right. Batman's lady friend! Could she be the thrust for the whole plot? She could! Why am I framing it as a question? Who knows?! She's an assassin, a world-class leader, and a terrible, terrible mother. It's an older Batman, though, so would they age her up? It would be after all that Son-of-the-Bat business. If it happened at all. Man, I hope she's older. She could be the cool, experienced, calculating one of the bunch. Someone's gotta know what they're doing. 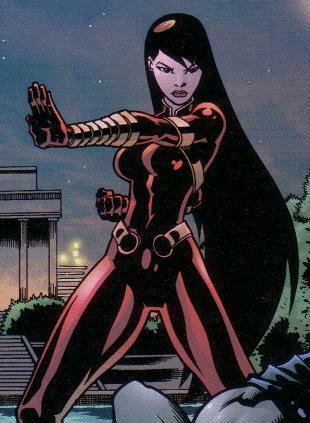 They did so well with Katana, I supposed they can have Lady Shiva walk onscreen suddenly and have another character go through her gimmicks. I don't know what exactly you want from me here. She's a martial artist, she wears tight clothes. She fights the Four Quadrant bill to a T. She'd look great on the poster. Shiva's got everything! Yeah, yeah, I know. It's a joke. Like the character, I think. She's a joke, right? I've only seen her in throwaway scenes and I've only heard her spoken of in unflattering tones. Which I guess makes sense. The lazy costume design, the easy name. She'd fit right in the movie! Plus, think of the trailer scenes, you guys. I know the Brothers Warner are. So those are my additions to the maybe-upcoming Gotham City Sirens Detective Comics motion picture. Are there more obvious picks? Who would you pick? Let me know in the comments below!